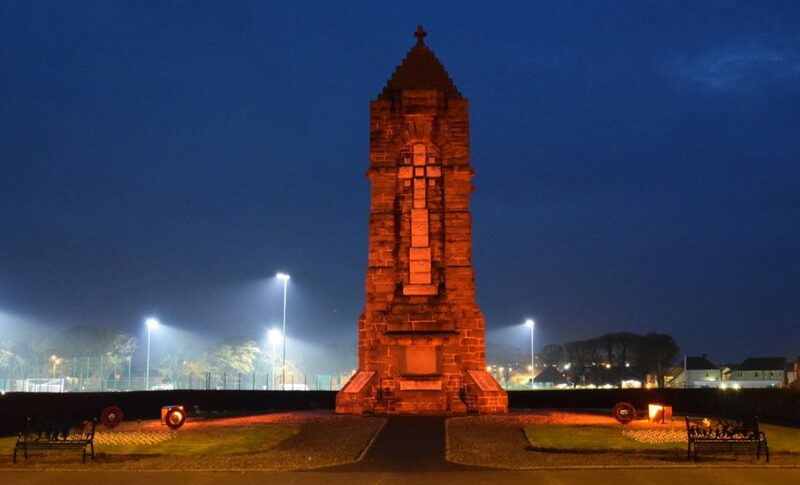 Since Sunday evening the Esplanade war memorial has been lit up in a silent vivid tribute to Kintyre’s WW1 lost servicemen. 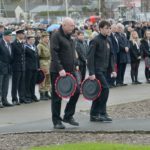 Campbeltown’s Royal British Legion Scotland chairman, George Rahman, inserted gelatine filters over the normal white lights to bathe the town cross in red. In addition RBLS members have planted wooden named poppy crosses to commemorate the dead of both World Wars of which 349 mark those lost in WW1. 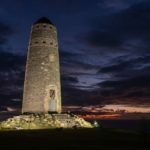 The memorial tower, constructed in 1923 and refurbished in 2015, will be the centre of Sunday’s centenary commemoration of the armistice, signed to end the First World, on the 11th hour, of the 11th day, in the 11th month of 1918. For more on this weekend’s services see page two. 50_c45memorial01 Photograph by Hannah O’Hanlon.